We could not be more blessed when it comes to the team at WHT. Each and every one of us truly puts OUR whole heart into our mission of helping others live their best lives. Get to know our specialists through our bios and videos below! Whole Heart Therapies began as a seed that was planted in the summer of 2017. Heart & Soul Wellness is a big part I play here, through energy healing, massage and essential oil therapy. I have coined my work as Essential Energy Massage: A Unique session blending an intuitive balance of essential oils, reiki, chakra balancing and energy work with a nourishing blend of the numerous massage techniques I am trained in. I typically start my sessions with foot reflexology and use this time to allow the inner healer of the client and my inner healing guidance system to connect. What follows is a unique session designed to support whatever healing is needed on the day of the session. When working within the physical body I enjoy utilizing massage cupping to enhance manual deep tissue work. I also offer essential oil guidance and support to anyone looking for natural solutions for their whole health, heart and soul wellness. My training in combination with my thought process creates a beyond the table approach to bodywork. To invoke your body's natural ability to heal, I use a combination of energy work with deep tissue and myofascial techniques, acupressure and trigger point therapy, as well as cupping therapy. I use knowledge about what I have learned to enhance each session plan. I look to customize each session by targeting any areas of concern. I consider postures taken throughout your day to bring harmony and balance to your body during and after your session. I share knowledge about how to improve daily life. Your journey to becoming more aware of your body, as well as knowledge of proper body mechanics can improve daily function in your day-to-day life. My passion for health and wellness lead me on the path of exploring the healing benefits of essential oils, AromaTouch Therapy, meditation, Reiki, yoga, and Yoga Nidra. I am inspired to create a life filled with more compassion, grace, mindfulness, and joy and to be of service to others. The power of essential oils is palpable, Mother Earth knows what she is doing. The wellness experience I offer in AromaTouch Therapy using essential oils will also include the healing benefits of Reiki to elevate your energetic process to receive and release. The benefits of Yoga Nidra are vast, in this practice I will be guide through a series of breath work, visualization, guided imagery, mantras, and relaxation techniques, shedding layers of stress and tension. I hope to cultivate a space where you feel honored, inspired, restored, and open to release and simply be. I am humbled every day to be on this journey, and honored to be able to contribute to the open-hearted experience of the community. Together we will co-create a more vibrant, radiant, and kind world. May you embrace what you feel in this space and carry that into your life, feeling a little more grounded, peaceful, harmonious, and empowered to realize that you have the capacity to create the way in which you desire to move in this world. I have a Degree in Clinical Psychology and a Masters Degree in Business. While working in the Healthcare Sector for the British Government, I noticed that the medical profession tended to focus on treating symptoms/effects, rather than getting to the root cause of problems. I realized that true wellness is not possible unless healing is directed at all levels - mind, body and spirit – and I made a commitment to study different Energy Systems so I could focus on healing full time. My particular specialty is Radionics – diagnosing and treating with a pendulum. It is based on the theory that we are all electromagnetic beings, and that we all radiate at a specific vibration. Using a simple methodology, I “tune-in” to the body (or a relationship, a pet, or anything that needs healing) and send specific remedies to restore balance. The results are remarkable, and I hope that everyone who benefits from this practice will be curious to learn this methodology and apply this tool in their daily lives. With her heart centered guided healing, Hope will help each client shift closer to their highest potential self- to joy! As a client you will leave each session with loving action steps, supportive remedies, and heart minded "tools", so you may continue your healing journey empowered, secure, and supported. Hope too continues her journey and is currently attending the International College of BioEnergetic Medicine, she can't wait to expand what she can offer at Whole Heart Therapies! Hope is an intuitive and gentle healer who has been trained in various healing methods; as well as earth medicines such as doTerra essential oils, flower essence, and crystals. As a Shaman and Reiki Master Teacher, Hope acts as a channel between the creator and the client to uncover and release what no longer serves them. 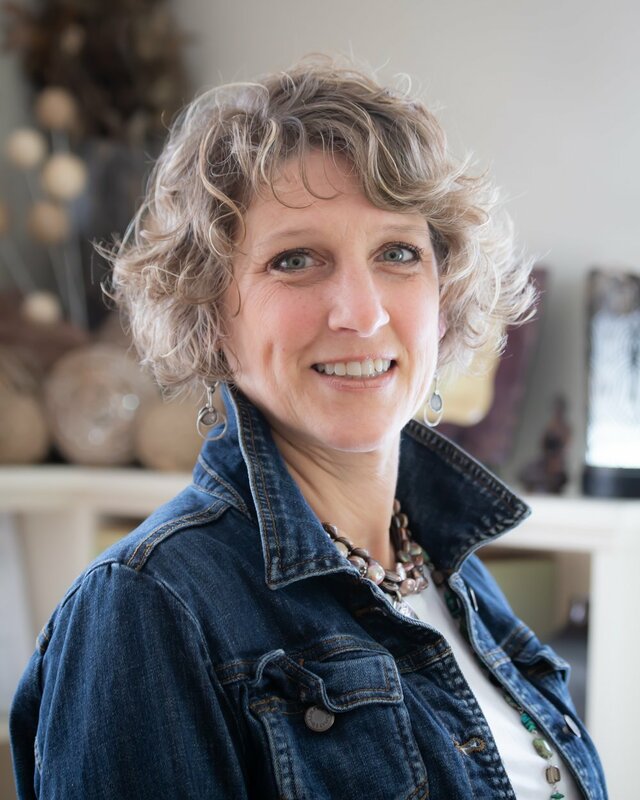 With her powerful intuitive gifts she will work with each client to identify and remove fear based patterns, harmful addictions, toxic relationships and thought structures. By releasing these energetic blocks, the client will bring back their power, their light, and create the pathway to living vibrantly, healthy, and passionately. Having a natural ability to intuit pain, I have searched for a modality that has a great effect on the body. I have practiced Reiki, EFT Tapping, and use doTerra essential oils. When I stumbled upon Bowenwork, I knew I had found the right path for me. I have just finished my advanced courses and have a more complete picture of how amazing the body is at healing itself given the right circumstances. My greatest achievement has been helping seven families become pregnant after many conventional treatments failed them. Be forewarned though, all of our babies have been girls! Bowenwork solidifies my love of helping broken bodies and spirits. Being active in dog rescue, I am also happy to share this fabulous modality with my furry friends! Melissa is an herbalist who believes in a whole-istic approach to health and wellness. As an herbalist, she serves as a guide and a teacher in the client’s journey to wellness and personal growth. As owner of Forget Not The Earth, a natural wellness products company, she combines her knowledge of herbalism and body systems in order to create products that not only nourish the body and spirit while easing symptoms of common imbalances, but that also address the underlying causes. Melissa has a Bachelor’s degree in English and a Master’s degree in Education and in addition to herbalism, she teaches at a local high school. As her experience using herbs and incorporating them into her own family’s daily health and wellness grew, Melissa knew that it was time to use her gifts as an educator to empower others to take control of their own health. Melissa began her formal herbal studies at Misty Meadows Herbal Center in Lee, NH, where she completed both beginner and intermediate herbalist apprenticeship programs and will continue with Advanced studies in the spring. In addition to earning her herbalist certificates, she is a certified Reiki practitioner. With a vision of a team approach to providing health care, Melissa is overjoyed to join the team of practitioners at Whole Heart Therapies. I am an Empathic Psychic/Medium, Energy Worker and Spiritual Teacher. I was born with the ability to see Spirits, read people and feel energy. Though, I have always had these abilities, I did shut down to seeing Spirits at a young age. Then I turned 28 and my spiritual team opened me up to all my abilities and that’s when I started training for my calling. I trained under Carol Hutchins, Lauren Rainbow and John Holland, along with a lot of self-teaching. Working with the Divine Mother and Ascended Masters, I gives you the tools to use in everyday life. The psychic readings connects you to your Spiritual Team who know you the best and has your life plan. She can tell you the future but it is always changing. So, I work with you to unblock the things that are holding you back and helps you manifest the life you deserve. The mediumship readings allow me to connect with your Love One that have passed on. To brings forth validation of the spirit with personality evidence and details about how they look. She knows how much healing happens with each connection and is very honored to be a part of it. Energy Work is my favorite thing to do! Being an Empowered Empath, I understand how energy works in our everyday life. I use many techniques in sessions. From Reiki, Shamanic, Clearing, working on the grids within us and the Earth, and so on. I feel it’s important to get energy work done to maintain a healthy body. It’s like eating an apple a day! Tracy is a registered nurse who has passionately been touching lives since 1991 practicing both traditional and alternative healing. Although she has been blessed with many different nursing opportunities through her career, her passion has always revolved around nurturing the emotional well being of individuals and their families on their pathway to wellness. Tracy combines her conventional medicine based nursing knowledge with the powerful benefits of essential oils, Reiki, Restore for Life (Light Touch Therapy) and Shamanic healing practices to provide a harmonic balance of healing, self introspection, self-acceptance and continued emotional, physical and spiritual wellness. 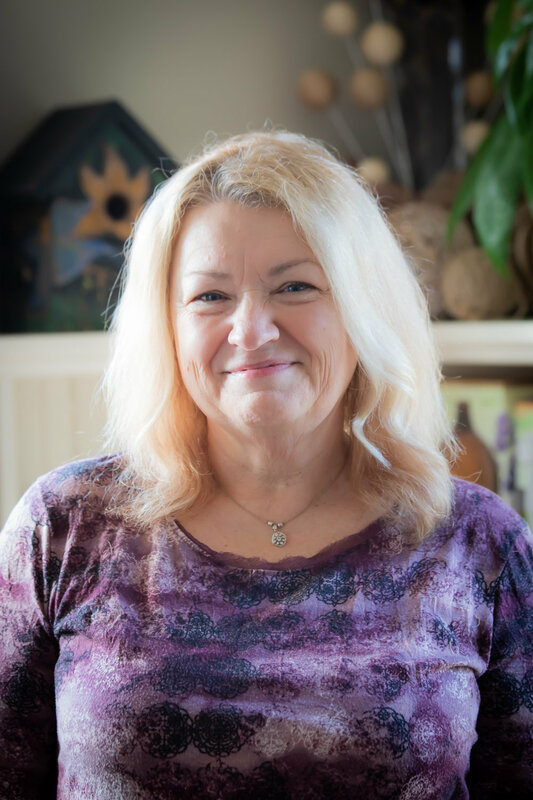 Tracy’s Divine purpose is to joyfully and lovingly help others find their freedom by instilling peace, alleviating loneliness and fear, and walking with those who need support.